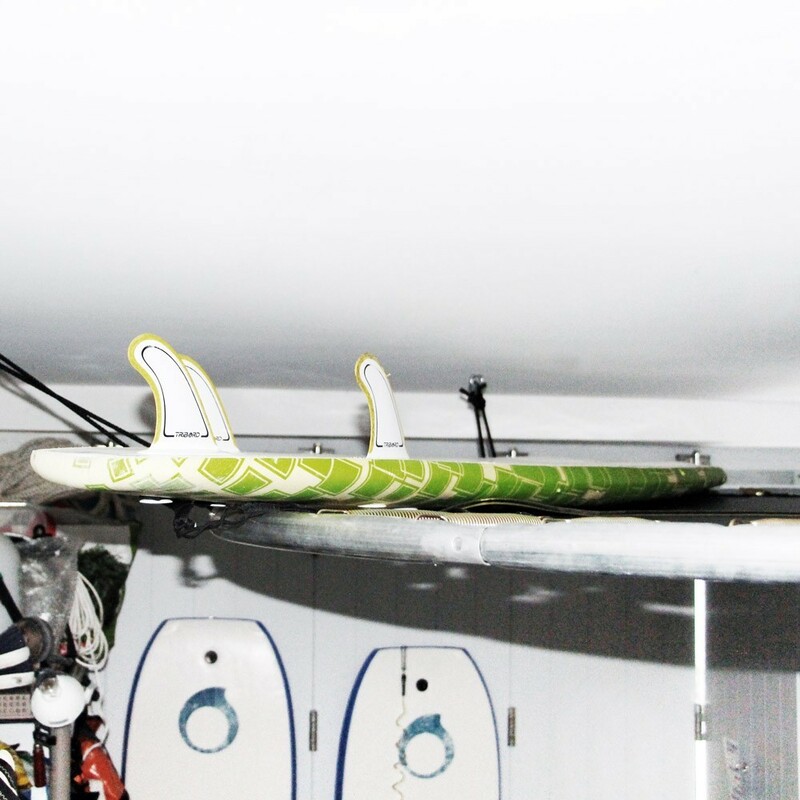 395cm wide garage storage unit to be hung from the ceiling. 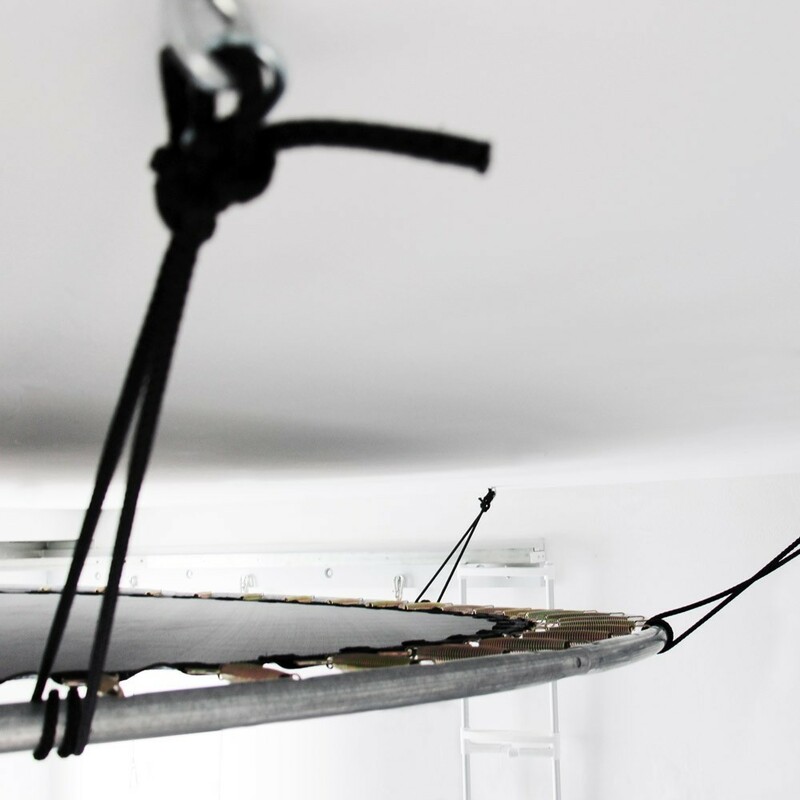 Rearrange your garage by creating space by choosing our garage storage unit, that will find more space on your ceiling. 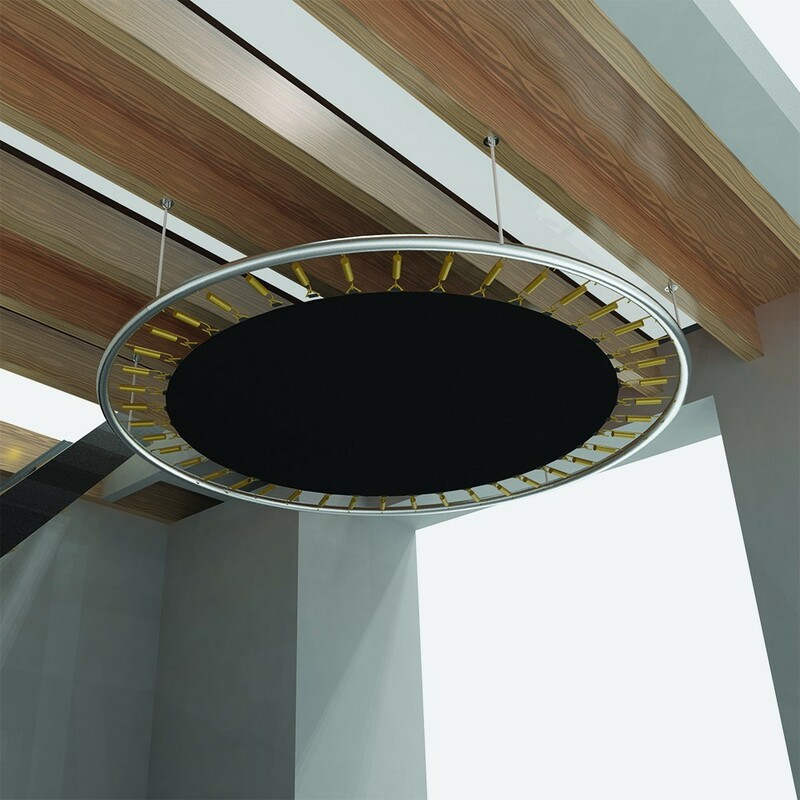 A circular storage space that can hang from your ceiling. 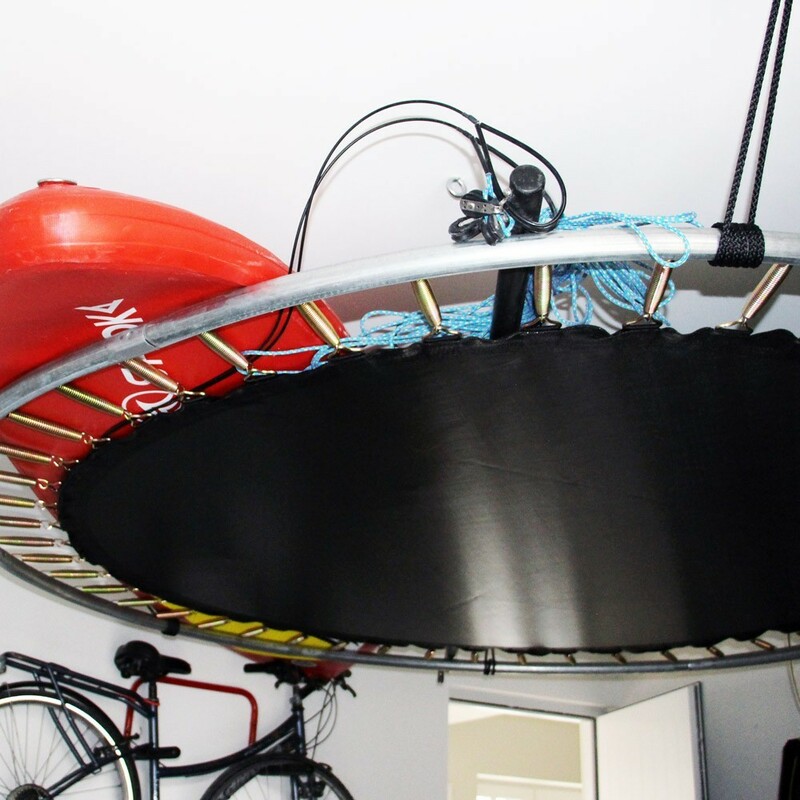 - A maximum load of 100kg: Thanks to its large 395cm diameter, you have the possibility of storing up to 100kg of objects! Store without counting! 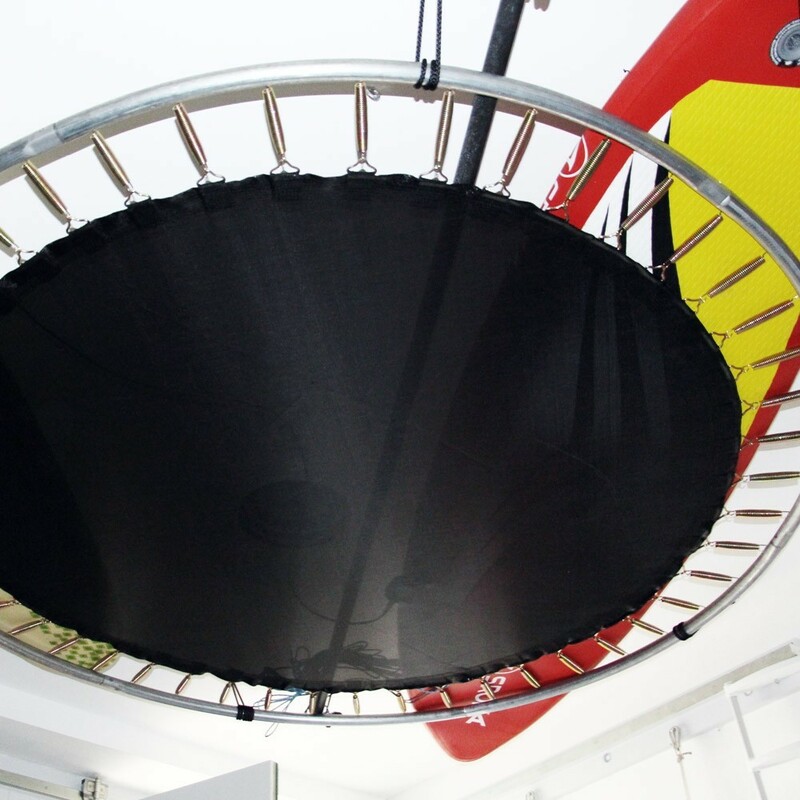 - A unique design taking the shape and material of our leisure trampolines. It has a 1.5mm thick galvanised steel frame and a reinforced canvas with 6 rows of stitching, making this garage storage very robust. Nothing to worry about, it will resist in negative temperatures and in moist areas thanks to its anti-corrosion treatment. 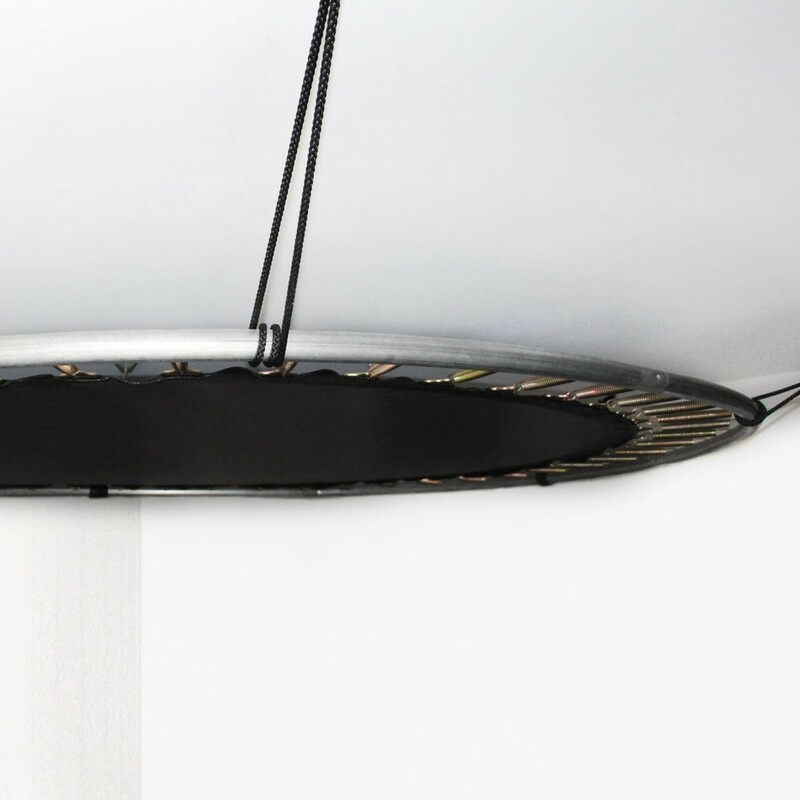 - Adjustable height: to adjust according to the constraints of the room. 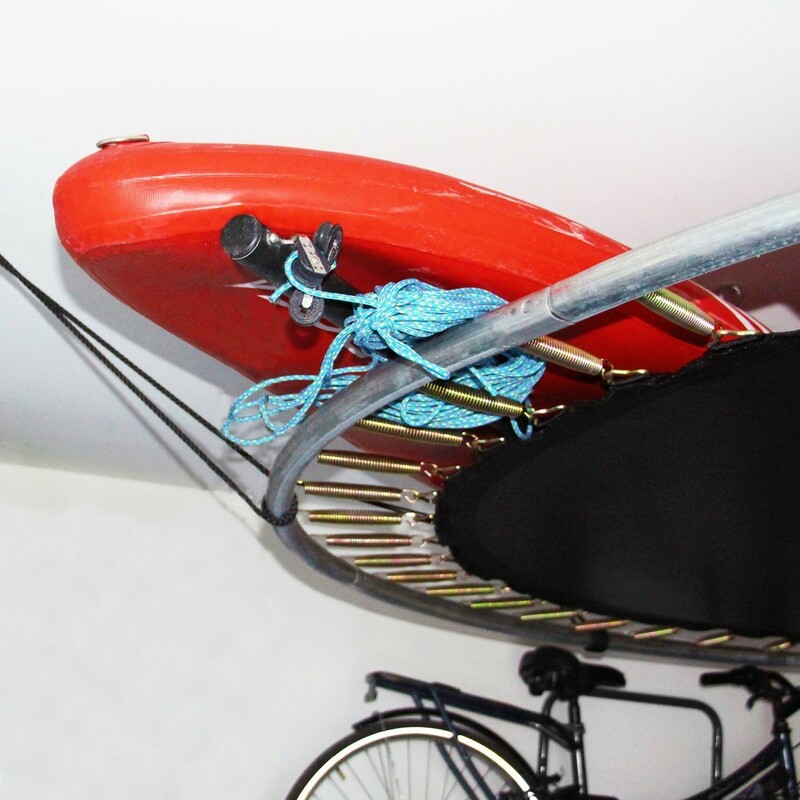 - Put away your surfboards, snowboards, suitcases, tools... any bulky objects! 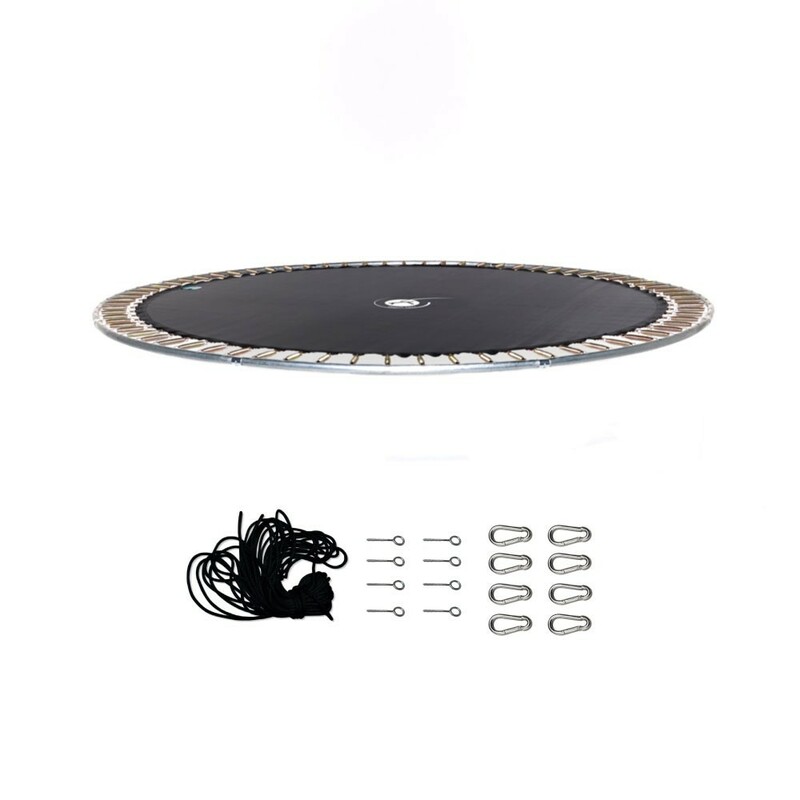 - Ready to be installed: everything necessary to install your parcel: a frame, canvas, 80 springs, fixing pitons and tension cord. Fixing pitons allow a deep hold for your garage storage and a hard surface.